One of the most important aspects of any piece of software, large or small, is how customizable it is. While some people like to have every option and control on-screen at all times, others might prefer to hide certain elements outright. 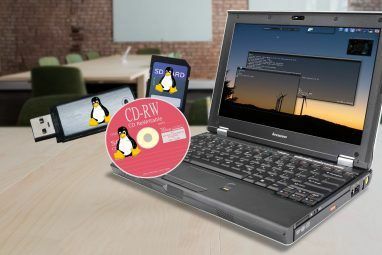 With a bit of time, you can get all your apps and even the operating system (OS) itself set up just the way you like 8 Geeky Ways to Customize Windows to Your Needs 8 Geeky Ways to Customize Windows to Your Needs Customizing Windows might help you navigate your computer and anyone can do it. That's right – even if you feel slightly tech illiterate, you should optimize your setup. We've covered your options right here. Read More . We’ve showed you how to hide anything in Windows How to Hide Anything in Windows How to Hide Anything in Windows Windows allows you to tweak and customize almost anything. We show you how to make use of these superpowers to let things disappear. Read More to keep things as streamlined as you like, but didn’t cover little bits and pieces of specific apps. Let’s look at some elements of common Windows programs that can be hidden for a cleaner experience or just to save screen real estate. While Microsoft is pushing Edge as the browser of choice A Quick and Dirty Guide to Every Setting in Microsoft Edge A Quick and Dirty Guide to Every Setting in Microsoft Edge If you decide to use Edge, the first thing you should do is set the browser up, which includes tweaking all of the settings according to your needs. Here's everything you need to know. Read More for Windows 10 users, the newest version of Windows still includes internet Explorer 11 for backwards compatibility (and those running Windows 7 or 8 still have IE 11 as well). Since IE 11 isn’t nearly as bad as earlier versions Surprise: Internet Explorer 11 Has Matured Into A Modern Browser Surprise: Internet Explorer 11 Has Matured Into A Modern Browser Remember Internet Explorer 6? Well, Internet Explorer isn't horrible anymore. 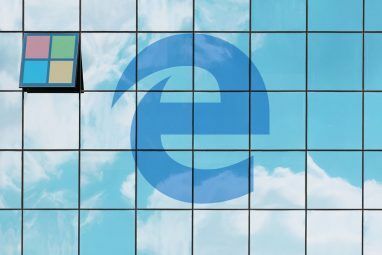 Whether you like IE or not, you can't deny that it has improved dramatically and is now worthy of taking its place alongside other modern... Read More , you might find yourself using it from time to time, especially if you’re forced to use it for work. Those using IE 11 might notice a little smiley face icon in the top-right corner, right next to the Settings gear. This icon serves as a simple way to send feedback to Microsoft about IE, but it sticks out compared to the other flat buttons and you probably don’t care to give feedback about IE anyway. To remove it, you can perform a quick Group Policy edit 12 Ways Windows Group Policy Can Make Your PC Better 12 Ways Windows Group Policy Can Make Your PC Better The Windows Group Policy grants you advanced control over your system, without having to mess with the registry. We'll show you how to easily customize Windows in ways you didn't think were possible. Read More or Registry hack. If you’re using a Professional or better version Is a Windows 10 Pro Upgrade Worth $99? Is a Windows 10 Pro Upgrade Worth $99? Windows 10 Pro offers more features, but also carries a $99 price tag to upgrade from the Home edition. Here's what you need to know to decide if professional features are worth the upgrade. Read More of Windows 7–10, you can get rid of this smiley using Group Policy. Type gpedit.msc into the Start Menu to open the editor, and browse to User Configuration > Administrative Templates > Windows Components > internet Explorer > Browser menus. In this menu, find Help menu: Remove “Send Feedback” menu option and change it to Enabled. After restarting IE, the smiley will be gone. If you don’t have access to the Group Policy editor, you can make this change in the Registry 5 Windows 10 Registry Tweaks to Improve & Unlock Features 5 Windows 10 Registry Tweaks to Improve & Unlock Features The registry editor is the only way to enable some of Windows 10's hidden features. Here we'll show you easy tweaks like enabling the dark theme or hiding folders. Read More . Here, right-click on the Microsoft folder to create a new key, naming it internet Explorer. Right-click on the folder you just made and create another new key called Restrictions. Finally, right-click inside the Restrictions folder to create a new DWORD (32-bit) value. Name it NoHelpItemSendFeedback and give it a value of 1. No more smiley! While there are plenty of alternative media players 4 Windows Media Player Alternatives for Windows 8 4 Windows Media Player Alternatives for Windows 8 Read More available, Windows Media Player is still around and gets the job done. Sometimes, however, the controls inside Media Player don’t disappear when you’re watching a video. This is an irritating waste of space. It kinda annoys me when a church media team doesn't even bother to hide the player controls of Windows Media Player on the projection. To ensure that controls hide whenever you’re watching something, check the following two settings. First, press F10 to show the menu bar, then choose Tools > Options. Ensure that Allow autohide of playback controls is enabled, then click OK to save the settings. After this, go to the Performance tab under Options and ensure that Display full-screen controls is unchecked under the Video playback header. Finally, if the controls still don’t hide for you, make sure your mouse cursor is left on top of the video — if you move it to another screen How to Be More Productive with Dual Monitors How to Be More Productive with Dual Monitors You need space for several documents, to get an overview and swiftly shift between tasks. What's true for your desk also applies to your virtual workspace. We show you how it matters. Read More , the controls might not hide correctly. The Windows calculator is one of the most underappreciated features of the OS 6 Underappreciated Features of the Windows Operating System 6 Underappreciated Features of the Windows Operating System There are plenty of Windows features you use every day, but some you might not have ever seen. Let's give these underrated tools some credit. Read More . While it’s not a super-exciting tool to use, it did get a fresh coat of paint in Windows 10, along with some new conversion tools. You’ve probably noticed the extra tab on the right side of the app that shows you recent calculations and numbers stored in memory, but it’s not immediately obvious how to hide it. Amazed and stunned to discover that the Windows 10 calculator is now resizable, with a history/memory column if window is wide enough. If you find the History / Memory tab to be taking up too much space or just don’t want to see it, all you need to do is resize the window horizontally by clicking and dragging on either the left or right edge of the window. After a certain point, the extra tab will disappear and you’ll be left with just the calculator — this also makes the calculator buttons bigger, which is perfect for touch-screen users How to Toggle the Touchscreen in Windows 10 How to Toggle the Touchscreen in Windows 10 Yes, you can turn your touchscreen on and off! We show you how it's done and how to set up a shortcut to make it convenient. Read More . For more tricks, check out hidden calculator features that could save you money 9 Neglected Windows Calculator Features to Save Your Day (and Money) 9 Neglected Windows Calculator Features to Save Your Day (and Money) The classic Windows Calculator contains many overlooked features. We bring them to light and show you how you can use this app to do math faster, process unusual calculations, and save money. Read More . The Windows taskbar is a great tool, but it can quickly become cluttered with all sorts of fluff you hardly ever use. There’s a lot of customization you can perform on the taskbar 7 Tips for Customizing the Windows 10 Taskbar 7 Tips for Customizing the Windows 10 Taskbar The taskbar remains a staple feature in Windows 10. It's been given a fresh look and new features, including Cortana. We show you all the tweaks to make the taskbar your own. Read More in Windows 10, including a few steps you can take to slim it down. Right-click on empty space on the taskbar and choose Settings to access the pertinent options. Enable Automatically hide the taskbar in desktop mode and the taskbar will slide away whenever your mouse isn’t positioned at the bottom of the screen. Enabling Use small taskbar buttons also slims it down a bit and gives you space for more icons if you need them. To make Cortana use an icon or hide completely, instead of taking up space with a huge search bar, right-click space on the taskbar and choose Cortana > Show Cortana icon or Hidden to reduce the space she takes up. Depending on your system’s capabilities, you might have the Windows Ink and/or touch keyboard How To Best Use Or Disable The Windows 8 Touch Keyboard How To Best Use Or Disable The Windows 8 Touch Keyboard Typing on a touchscreen is much easier if you know all the tricks! If you frequently type on your Windows 8 tablet, consider upgrading to Windows 8.1! It comes with many improved features as this... Read More buttons on the right side of your taskbar — you can hide these with a right-click on empty space, followed by unchecking Show Windows Ink Workspace button and Show touch keyboard button. Finally, while custom toolbars on your taskbar can be useful 7 Useful Toolbars You Can Add To Your Windows Taskbar 7 Useful Toolbars You Can Add To Your Windows Taskbar The Windows desktop can be a super productive work space. Native toolbars can help you make it even more efficient by placing shortcuts and information at your fingertips. Let's have a closer look. Read More , you can also hide any manufacturer-placed toolbars that you don’t use, such as HP Support Assistant. To do so, again right-click on taskbar space and expand Toolbars to view all that are available. If you have the Desktop or Address toolbars showing and don’t want them, you can uncheck them here. What Else Do You Hide? This list is a bit of a mash-up of items to hide, but it’s still good to know how to adjust that one little icon that was driving you nuts. While there are things that annoy us about Windows 10 7 Things That Really Annoy Us About Windows 10 7 Things That Really Annoy Us About Windows 10 It's not a secret that Windows 10 isn't perfect. Cortana borders on being intrusive, mandatory updates can cause issues, and much appears half-baked. 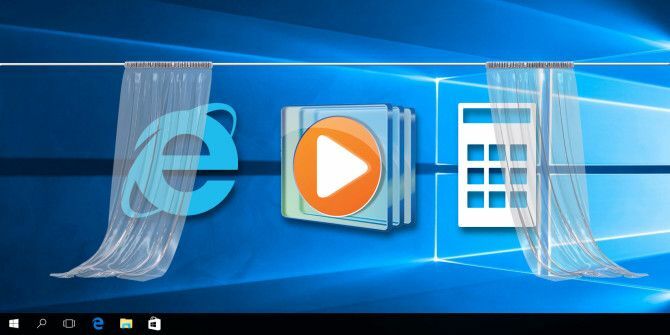 We present our top 7 of most glaring Windows 10 annoyances. Read More that aren’t this easy to fix, having low-hanging fruit that you can adjust to your liking in just a few minutes is great. Looking for more hidden fun? Check out hidden Windows caches you can clear 7 Hidden Windows Caches & How to Clear Them 7 Hidden Windows Caches & How to Clear Them Cached files can take up a lot of bytes. While dedicated tools can help you free up disk space, they might not clear it all. We show you how to manually release storage space. Read More with the right methods. What little bits of Windows apps do you hide? Let us know what else we could add to this list in the comments! Explore more about: Internet Explorer, Windows 10, Windows Media Player, Windows Taskbar. Thank you so much for the tip about the calculator - it was driving me mad now it's suddenly become so big it hides stuff on the screen you want to add up stuff from! Your resize tip was so obvious when you know how but I would never have thought of it. Much easier, and also when you want to restart or shut down ALT F4, vs the 3 step process too. Also I like the copy to folder and move to folder you can add in the reg file, check it out if you want this on pcitbacktogether.com in the Advice and Tips page! One of the most annoying things is the Windows 8.x/10 "flat" theme. I tried UXTheme Patcher, but VirtualBox doesn't like it. So I'm using UXStyle (which adds a service instead of replacing DLL files) with the "aerolite.msstyles" folder trick, which works quite well (rename "aerolite.msstyles" and create a folder with the same name, placing your personal themes inside). Along with Glasser for Firefox, I've got a near-perfect Windows 7 theme, although there's no "glow" around buttons.